"Why should the devil ....?" 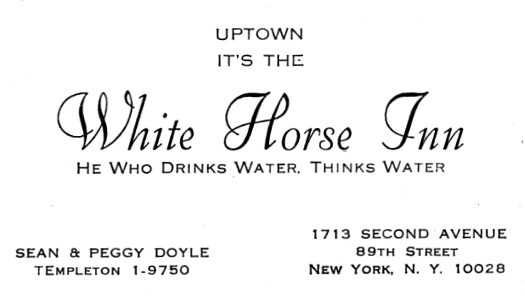 Around 1966 when I was a bartender for Sean and Peggy Doyle on 89th and 2nd Ave. at the White Horse Inn in New York City, they had a motto for this pub, "He who drinks water, thinks water." 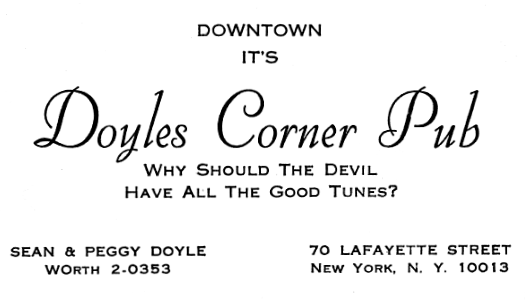 Inasmuch as they were opening another pub downtown on Lafayette Street across from the Criminal Court they asked to come up with another motto for this new place called Doyle's Corner Pub. 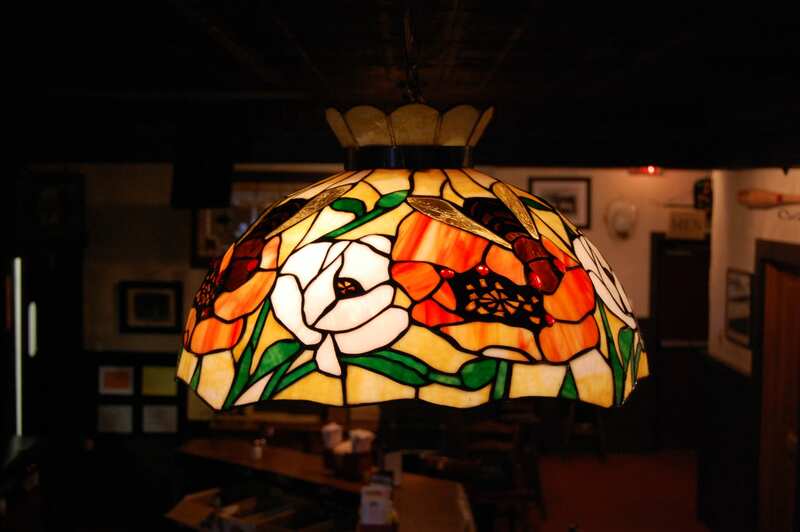 Accordingly, I went to "Bartlett's Familiar Quotations" to find some words that would not only connote the atmosphere and the ambience of this new pub, but also to say it in a terse and catchy way and also serve as an apologia for a drinking establishment. When I came across a quote from the Reverend Roland Hill (1744-1833) Sermons, from E.W. Broome, the Reverend Roland Hill, p.93 "He did not see any reason why the devil should have all the good tunes." I chose that quote as the embodiment of what I wanted to convey about the saloon: that the bar and drinking is not a place of evil or of degradation, but a beneficent neutral ground where people can interact in positive and social ways, enjoying the conviviality and the fellowship of the great good place. In other words, I wished to make the argument that we can sing and dance and laugh and indulge in innocent amusement without connecting it to evil or wrongdoing. I saw this quote as an anti-puritanical statement. While doing recent research about this subject, I found a website (www.apologetix.com) that described how some evangelical denominations used parodies (contrafactums) by which popular tunes were used for hymns in order to help convert drunks and lost souls. For example, William Booth, founder of the Salvation Army, tried to attract sinners to listen to the music of salvation. These street parades attracted large crowds of people who otherwise eschewed regular churches. Wow! I was just looking to create a saloon saying that would tell my customers it was O.K. to have a good time. I didn't mean to be ensnared in matters with such moral dimension. I wish only to sing my own song.